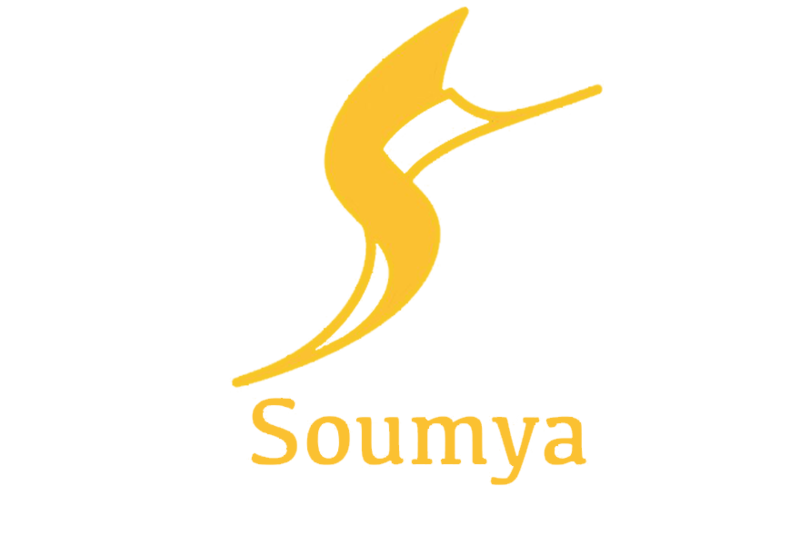 Soumya Inc. is a family endeavor committed to sharing the healing potential of Kansa with the world. In 2014, Soumya Shah, our founder, discovered his grandfather’s kansa tool hidden in a trunk in his Gujarati home. Fascinated by the warmth of the vati and the well-worn nature of the teak wood, Soumya became intrigued with Ayurveda and the healing traditions of India. His study of the Vedas eventually led him to design his own Kansa massage tools, Thali and Ghanti. Today Soumya Inc manufactures Kansa tools of the highest quality. Our kansa massage tools are handmade, using traditional craftsmanship and techniques. The bronze vatis are individually cast by metalsmiths in Gujarat, while the teak handles are hand-lathed, sanded and assembled by master woodworkers in Maharashtra. Currently, we produce and export more than 4000 Kansas each month. While our company has grown from humble beginnings we are still a family business. Soumya constantly works on improving his Kansa designs, while his brother Paras supervises production and his father, Kirit, manages the accounting. Like the metal used for sacred Tibetan bells and gongs, Kansa bronze is highly resonant. Ancient wisdom claims this metal to be more healing than even gold or silver. Kansa is a fantastic conductor of electro-magnetism without being magnetic itself, making it the ideal material for moving subtle energy in the body without “picking up” energy while it effectively attunes the tissues. These Kansa Massage tool provide a sacred means for facial (and whole-body) rejuvenation, harnessing your inherent vibration and directing it to heal. A gentle massage of the face with Kansa Massage tool directs life-force energy to open marma points (Ayurvedic vitality points on the body) to tune the subtle energies and impart a rosy glow. This concentration of your bio-electricity stimulates collagen fibroblasts in the skin’s deeper layers while assisting in lymphatic drainage. The face appears more open, relaxed, clear and vibrant, with less puffiness. Working on yourself or a loved one is easy and fun. Our Kansa Face Wand come with directions for general use and facial rejuvenation. 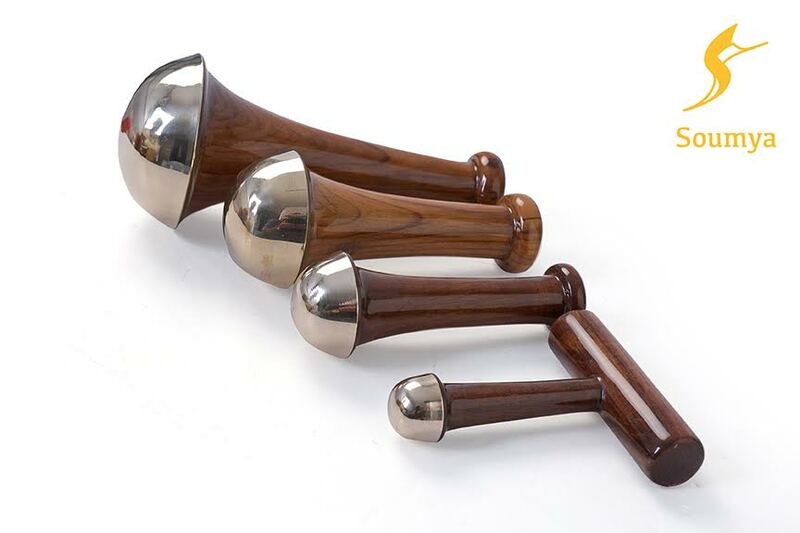 How Kansa Massage Tool Work? In the words of Soumya Shah, “Traditionally, Kansa is said to pull Pitta or excess fieriness that has accumulated in our tissues out of the body through our skin. Some of this is because of the physical process of friction (rubbing). The result is the pulling and drawing of heat, acidity, inflammation and toxins out of the body. Because of the nature of piezoelectricity and how it courses through the body, Kansa Wati was employed on the feet to have a drawing effect of heat and strain away from the eyes. We have personally seen eyes become less bloodshot and the high skin tones normalize just by rubbing the feet with the Kansa foot wand. Modern medicine is also learning the benefits of implements primarily made of copper. We know that copper rich surfaces are unfriendly to harmful microbes so, like gold, this precious alloy is very clean and cleansing for the skin. So much so that copper, rather than stainless steel, is being used for surfaces in hospitals. We have also learned that microparticles of copper support healthy collagen – the material that supports good tone and vibrancy of the skin. This explains the use of copper vessels to drink from. It also explains the many benefits reported from colloidal water made from colloidal copper, silver, and gold. Tools like this have been used in India for centuries to enhance health and strength, increase energy and support general well-being and longevity. Much of the work done with our Original Kansa Face & Body Tools involves simple repetitive long strokes and circles that, according to Ayurvedic theory, may evoke a cleansing and rebalancing effect. The smooth surface quickly warms and feels like a warm hand, making it the perfect, comfortable extension of your own healing energy. Used for sacred Tibetan bells and gongs, Kansa (Bronze) metal is highly resonant. Think of it as tuning up the face or body in a way similar to listening to the Tibetan gong sounds that lift your spirit. To use this metal in the best possible manner and to make the most of its healing abilities, Soumya Shah introduced it to the World Spa and Beauty Industry in the form of handy massage tool that were much easier to use. Kansa Wands with elegant handcrafted wooden handles were tailored to address specific needs and handcrafted by artisans from the corners of India.